Ombra, which means shadow, is an Italian kitchen and Winebar. This textural design reflects the warm and rustic vibe of the restaurant and the Italian cuisine. The idea behind this identity was wine stains. 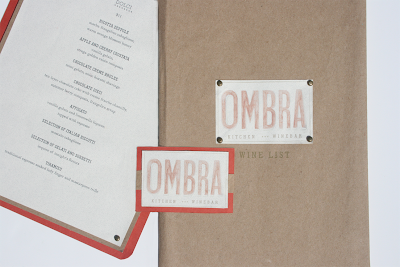 This idea was applied to the OMBRA logotype- which was hand painted with wine.